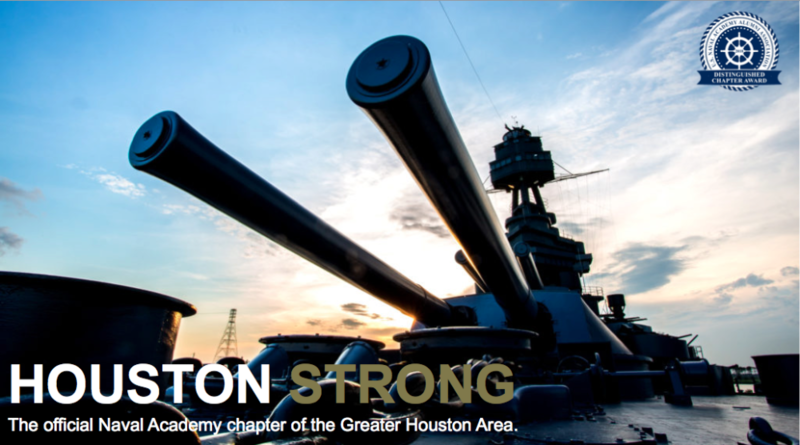 The TxGC Chapter is the official Naval Academy chapter for the greater Houston area. We serve you, our Alumni, parents, Midshipmen, service members, Veterans, and friends, in support of the Naval Academy and its mission through engagement and activities which perpetuate the history, traditions, memories, and growth of the Naval Academy, and bind our family together in support of the highest ideals of command, citizenship, and government. Houston is our hub, but our chapter covers as far east as the Louisiana border, north to the Brazos Valley (including College Station), west to Columbus, and as far south as Victoria. We also claim the International Space Station. If you are a resident of our chapter area or visiting or have a connection that you want to strengthen with our members, check out our events page, and join in the camaraderie, or consider joining the TxGC Chapter. We have a few different membership levels, and membership has its benefits. The TxGC Foundation, a 501(c)3 organization, was established in 2013, separate from the Chapter, with the specific purpose of perpetuating philanthropic efforts that are closely aligned with he ideals of the Naval Academy Alumni Association Foundation, Veterans, and the local Houston community. The TxGC Foundation benefits from your generosity. Please, consider making a tax deductible donation. Annually, the TxGC Foundation’s Buckingham ’69 Scholarship helps support the Naval Academy Admissions department in sending area high school students to the Naval Academy’s STEM and Summer Seminar Programs. The TxGC Foundation is proud to have provided several years of full or partial tuition assistance, and even sometimes airfare, for those students where financial assistance makes a significant difference. In January, each year, the TxGC Foundation awards the Smith-McCool Sword to the Midshipment from the Chapter area, with the highest order-of-merit, going into their First Class year. The sword, is named after astronaut Michael Smith ’67, who was lost in the Challenger disaster, and astronaut William McCool ’83, who was lost int he Columbia disaster. Additionally, since 2014, the TxGC Foundation has annually hosted a Top Gun, volleyball themed, family benefit that has raised several thousand dollars for Houston area Veteran organizations. Benefactors in the past have included USO Houston, Team Red White & Blue, and Lone Star Veterans Association.